The National Maritime Museum in Greenwich, England is storing thousands of nautical flags that were displayed on various ships throughout history. These flags could be flown on Navy ships, business vessels or even small family business boats. 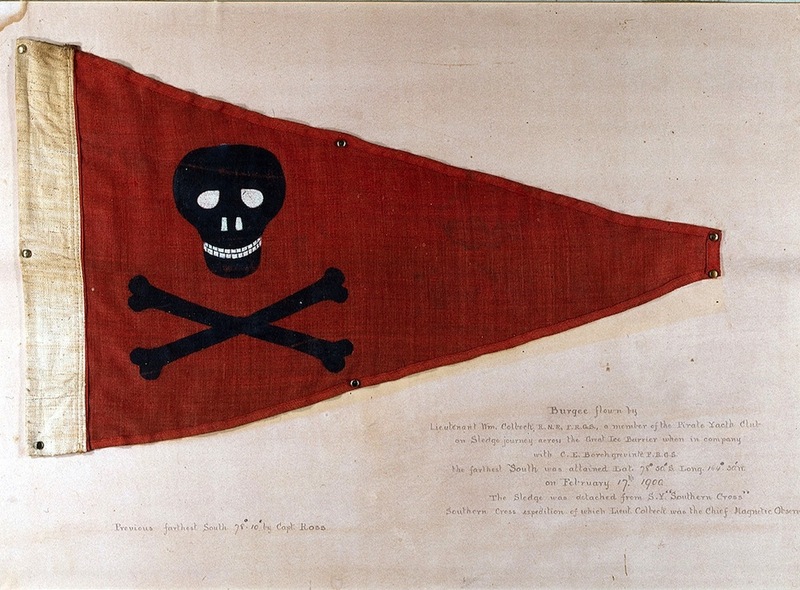 Sea flags became popular in the 19th century and can be found in photographs of old vessels. 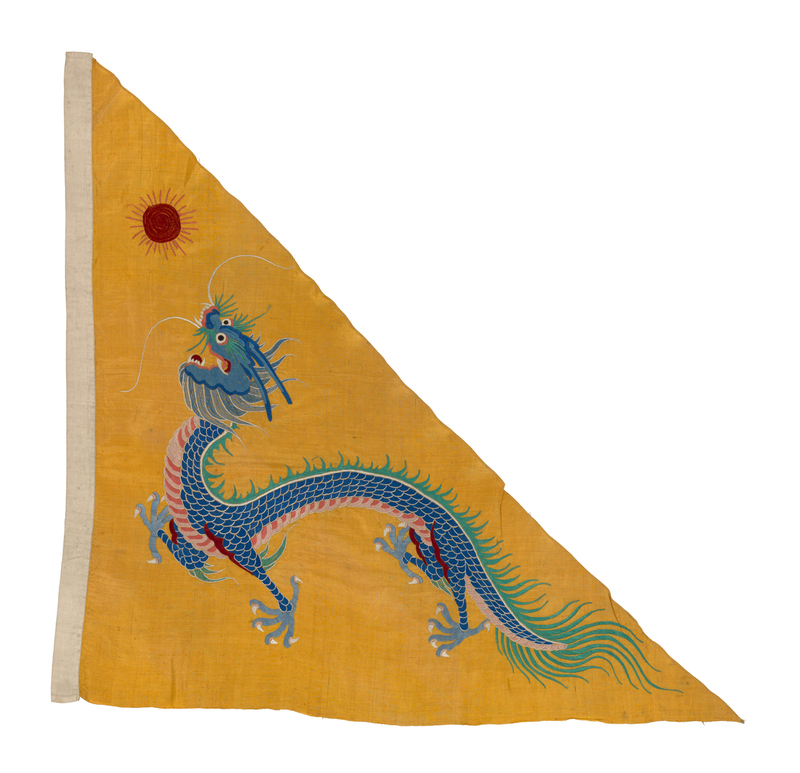 The museum’s collection of ancient sea flags are a delight for both graphic designers and flag enthusiasts. A few of them are listed below – see the credits at the bottom of this post to view the full list of ancient sea flags. The flag shown above is known as the Burgee of the Private Yacht Club Flag. It was flown by William Colbeck of the United Kingdom during the Antarctic Expedition. Pictured above is the Chinese Imperial Naval Ensign Flag. The flag was used from 1866 to 1888 on various Chinese Navy Ships. The flag was displayed on ships that were hired to arrest thieves. USSR (currently Russia) Naval Ensign Flag – in use from 1935 to 1991. 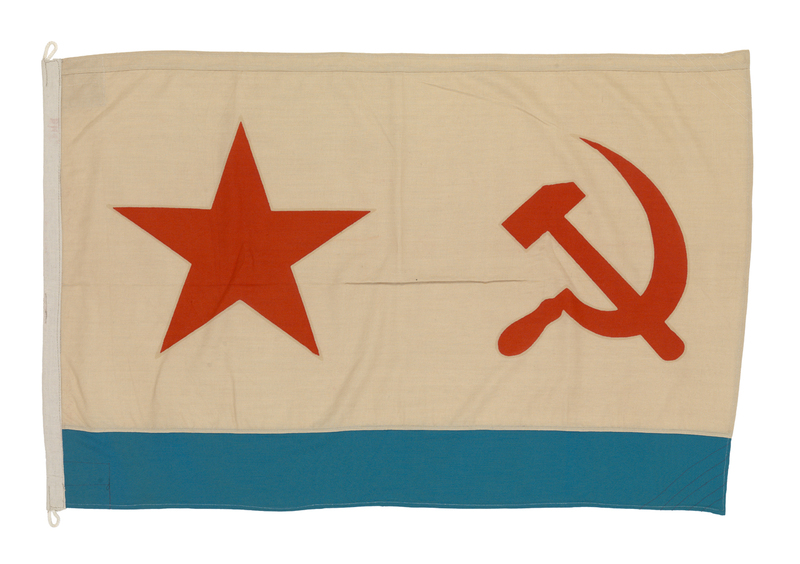 This flag features the famous Soviet sickle emblem and hammer, as well as a five point red star. 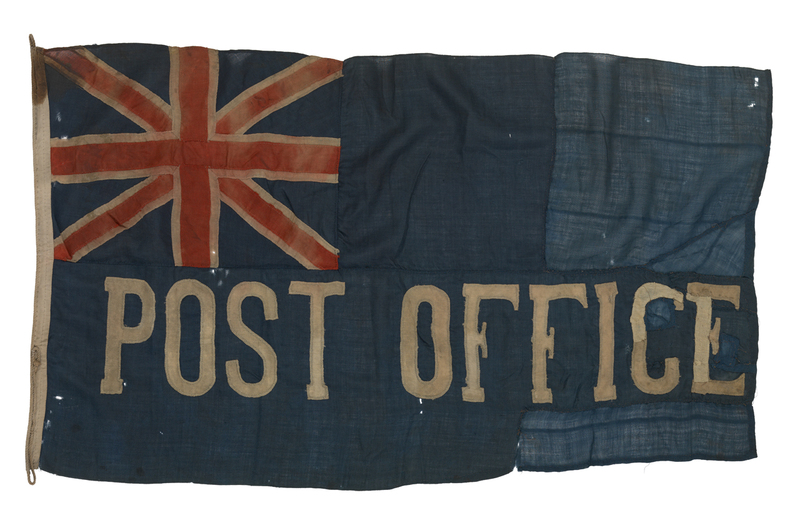 The first British Post Office Ensign Flag was hand-sewn in 1837. While in use, the flag was flown on ships that would travel to the entrance of the English Channel to pick up mail from detained ships. The post office ship would then transport the mail to the nearest port city. 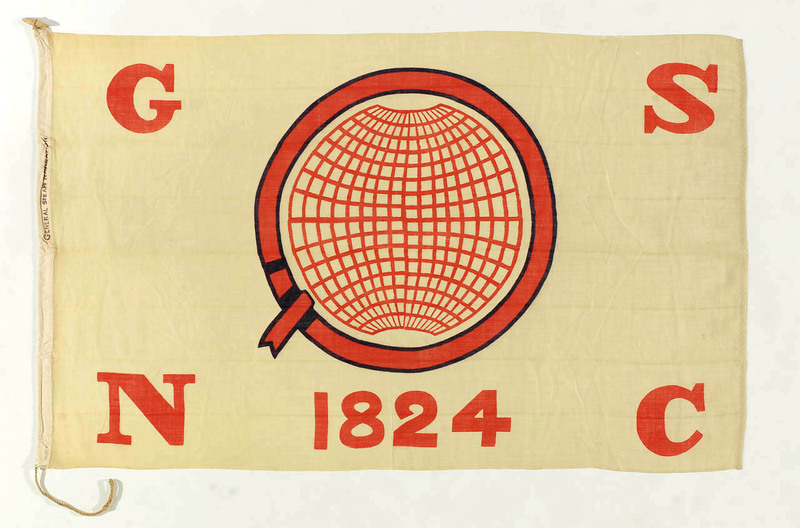 The General Steam Navigation flag was created with the founding of the company in 1824. It quickly became London’s top sea shipping company and retained that status for nearly 150 years. However, the growth of air travel led to the demise of the company in 1972. 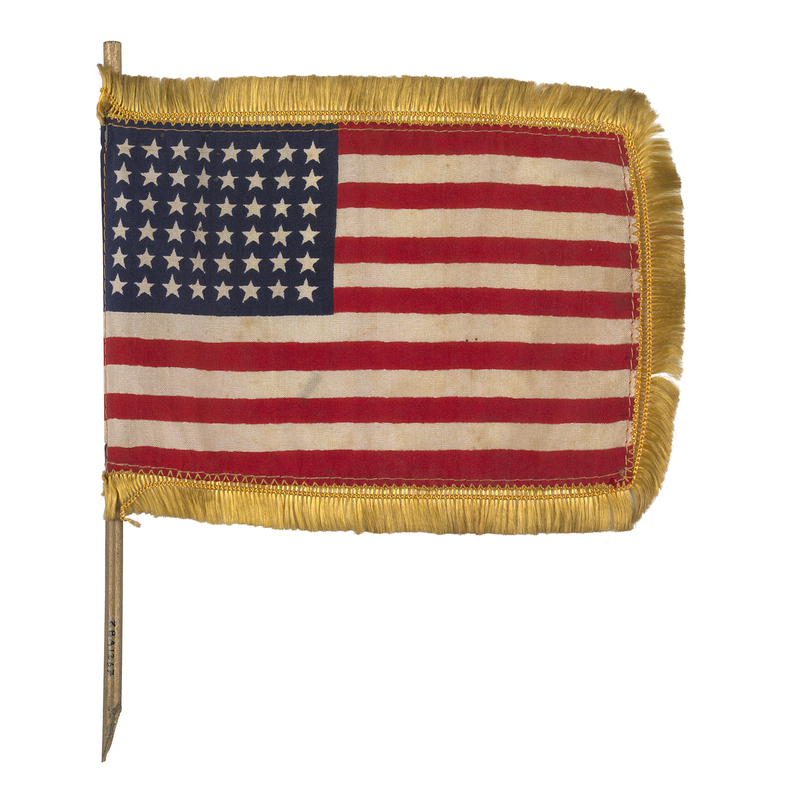 This United States flag was placed on tables during dinners on American cargo ships.